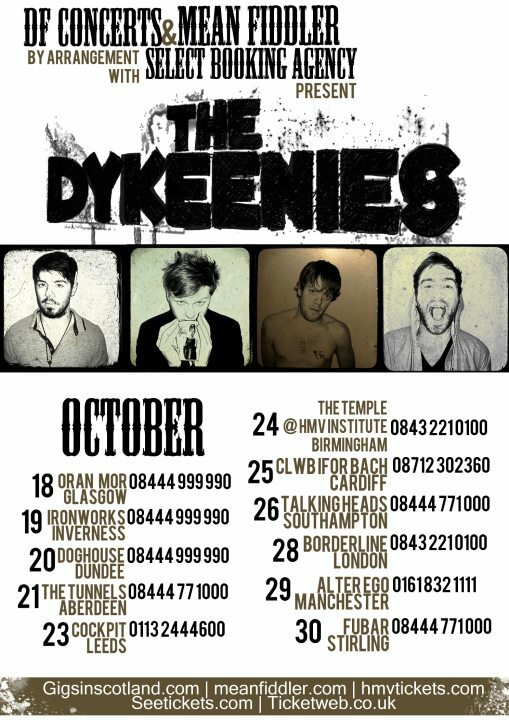 Let me introduce you to Scotland's finest- THE DYKEENIES. On drums we have John Kerr, on lead guitar Steven Ramsay, on bass Andy Henderson and his brother Brian makes up the final component - the vocals. Heya guys, how’s the tour been going so far? You’ve played dates in Scotland so far, right? JOHN- It’s been going brilliant, it’s just dead weird because normally we start in England and then work our way back and Glasgow’s usually the big show. When we usually start at the smaller gigs in an English city we get all the mishaps out of the way and then we start doing the bigger city gigs, London, Leeds, and Birmingham. The set gets better – you can play it in your sleep. Then we go back and play Edinburgh and Glasgow. But with this tour we started with the big shows in Glasgow so we had to rehearse and rehearse and rehearse to make sure we weren’t going to make those mistakes on the first night at a home town show. Apart from that it’s been brilliant. Are you glad to be back out on the road and taking the tour all over the UK? ANDY- All your hard work starts to pay off once you get on the road because you’re stuck in a studio for most of the year recording and writing and rehearsing for the tour, and now you finally get to play the songs live. It’s amazing. J- It’s good to be in each other’s company as well; as opposed to being stuck in one room, getting sick of the sight of each other in the studio environment. You are in the studio for months at a time, but each of you is recording individually and you can be sitting there for weeks. But you have to be in the studio to give your opinions on each others parts, where as when you go on tour you get to reminisce. 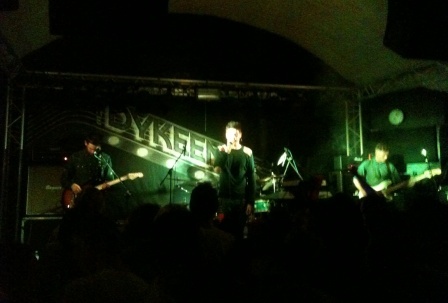 We were talking about it earlier on, how we remember coming to Leeds the very first time on the NME tour. So you go on tour and it reminds you of all these daft stories. With a gap of a few years between first album, “Nothing Means Everything” and follow up “Canyon of Echoes”, what can we expect from the tour set list? Will it be a mix of old and new? J- It’s basically half and half, because I’ve been to see bands myself, lots of people have been to see bands, that have just released the second album and you see them and they play all the second album and you go “what happened to the first album?”. Because of that you need to play both, so we end up getting our set down to nineteen- twenty songs. There are a lot of people who won’t have heard the second album so they will get to hear songs from the first album, so hopefully we’re pleasing everybody. 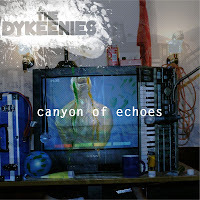 The new album “Canyon of Echoes” is out now. You recorded it over a number of years in three studios- did you prefer working in that way? 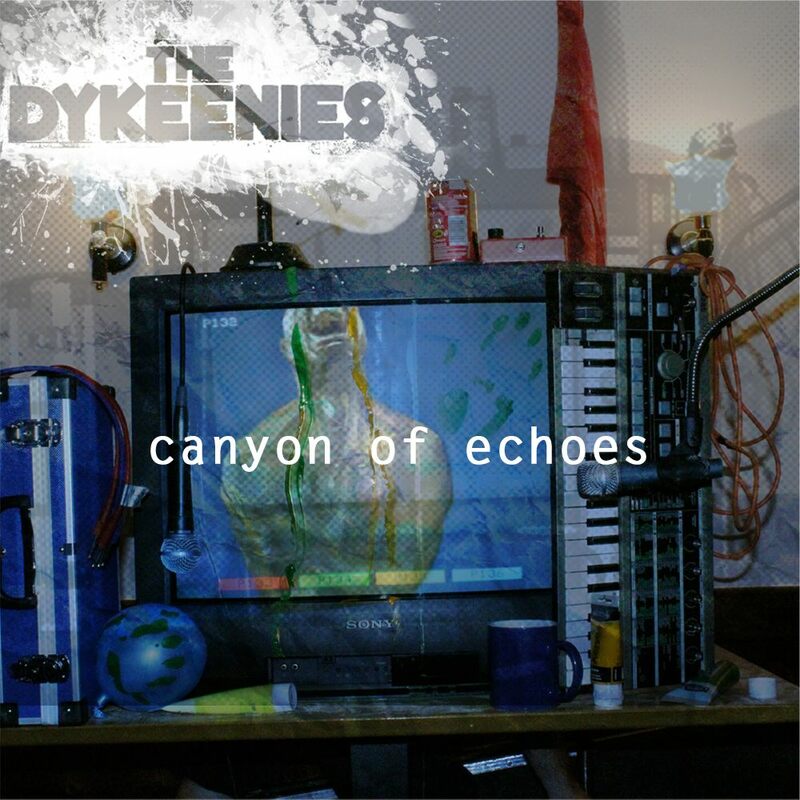 A-To be honest “Canyon of Echoes” didn’t take that long to record or write. It has all been done in the past year, give or take a few tracks. Before “Canyon of Echoes” we had another album written and recorded ready to go and then Alan, the other guitar player, left the band. So we just shelved the album and started writing a brand new record. J- The original second album, because we had two guitarists, it was slightly more guitar orientated as opposed to synthesizers. When we wrote this original second album it was on the basis that we had two guitarists, we needed two. When Alan left there were twelve, thirteen songs that we literally couldn’t play; we couldn’t recreate what we had done without two guitarists. So, we had to go back to the drawing board. The second album that you hear now “Canyon of Echoes” is actually the third album. Has your approach to writing changed? A- I don’t think we have ever had a formal approach, it’s always been different. There are times I can remember, like “Sounds of The City” when we started writing that song. We were in the kitchen recording the first album in the back of Wales, in this big mansion, and I was sat on top of the table and I started playing that wee riff. Then instantly everyone in the room started playing along. It just shows you a stupid wee thing like that can spark a song. We had that song within two hours after that. Other songs have maybe been ideas for years and that’s how long they’ll take to figure out. J- Some songs can take twenty minutes, others can take years. What we have done is generally write in threes. What can happen is we get a song to like twenty percent and then you hit a wall, so then it’s good to go on to a second song and you take that maybe an extra ten percent; then the third song even further. Then when you come back to the first song you’re fresh on it again. You build the songs up in groups of three. for many different reasons. The guitar player Steven got attacked pretty bad so he was out for a long time. Then with Alan leaving the band and the legal battle with Sony, the name comes from the struggle to get the album out. We wanted something quite poignant. We would have given the album away, we just wanted it out! Do you have a favourite track you’ve written? A- “3” only because it’s got a bitchin’ bass sound, it’s my bit of limelight. The name “Dykeenies” is from the film “Willow” – I’m guessing you’re big fans of the movie? all grown up with that movie. J- We all knew what it meant. If you take forty people off the street and say the name “Dykeenies”, without mentioning us, you’re lucky if one person has seen that movie. J- Imagine that on a poster, sell out every show! What can we expect next from The Dykeenies? J- We don’t actually know the answer. We’ve got another tour booked of acoustic shows up in Scotland in smaller towns that we wouldn’t play full band. It will give them a chance to see us. A- We are going to do an EP straight away of brand new material, then do a full tour again next year. March maybe, my birthday. Thanks guys and good luck with the rest of the tour. 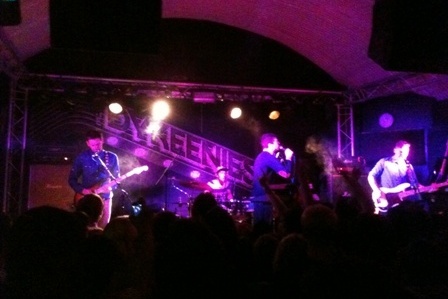 We could have been rolling up to Leeds Cockpit this evening to see “Creepin’ Jesus” or even “Free Beer”. Thankfully for us, however, “The Dykeenies” discarded the other names in favour of one taken straight out of 80’s movie classic “Willow”; a sure fire hit! Battling a band member leaving and legal battles amongst other things, the four boys from Cumbernauld have taken an extended break from touring. However, they are back and it’s clear to see that Leeds certainly hasn’t forgotten about this quartet of cheeky Scots. Whereas four years ago their small back catalogue meant their show was limited, the boys are back with a vengeance and they treat the crowd to a mammoth eighteen song set. Opening with new album track “Are You With Me Now?” singer Brian Henderson immediately sets the tone for this evening, and the audience respond positively; they are definitely on board. Harnessing a no holds barred approach, the band storm through the set instigating sing-a-longs to old classic “Stitches” and newer favourite “Water In The Lungs”. Brian, in his elbow patched jumper, melts through singles “New Ideas” and “Awake”, only by the end declaring “is it me or is it hot in here?”. His manic power vocals enliven hit “Sounds of The City” and softer tones perfectly captivate the mood of “Traps”. Add in Brian’s faux argument with a member of the crowd named Tricky (over a snapback cap) and we pretty much have the perfect set! 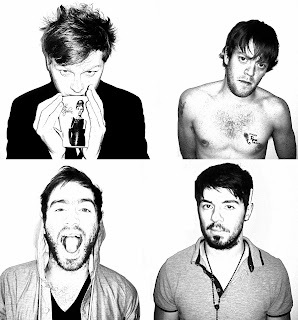 I urge you with haste to go and purchase tickets and check these guys out live. 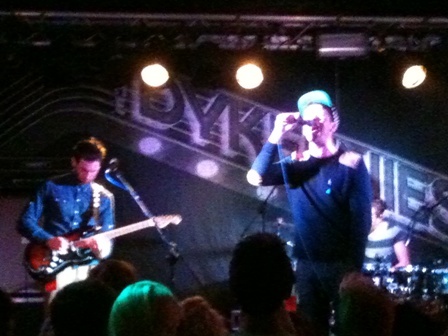 For The Dykeenies have definitely still got it!